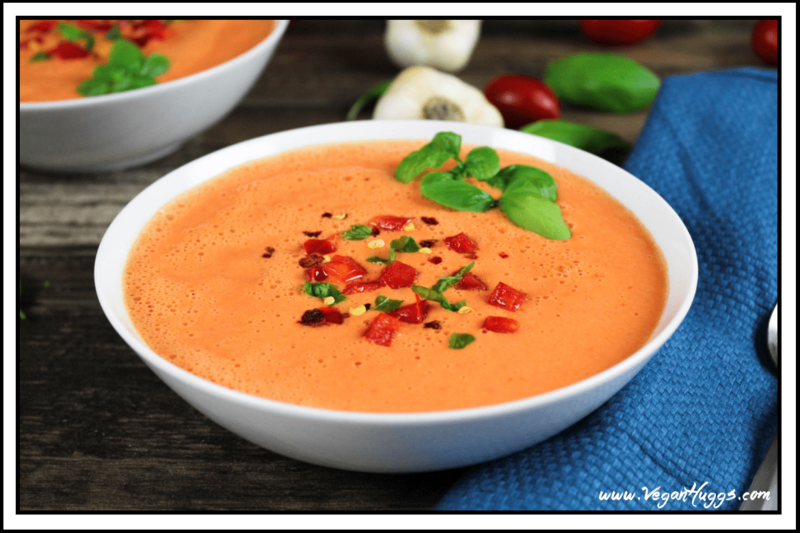 This Raw Red Pepper Tomato Soup is creamy, flavorful & nutritious. It will nourish your body & satisfy your tummy. All you’ll need is a good blender & some fresh ingredients. This heavenly soup is bursting with Vitamin C, Vitamin A, Lycopene and Lutein. The added cashews give this soup the creamy texture while adding a nice dose of protein, too. Also, they are a great source of Magnesium, Iron, Copper, and Zinc, so add those babies in! Quick note: I soak the cashews in water for 2-4 hours to make a creamier soup. It also makes them more digestible & more nutritious. However, if your cashews aren’t soaked, you can just use them as is. The soup will still be creamy & delish! To preserve all those vitamins, the soup is just slightly warmed. You’ll get that same fuzzy feeling in your belly, but you’ll get twice the amount of nutrition. Sounds like a pretty good deal, huh? I use a Vitamix that warms the soup, but If you don’t have one, just slightly warm on the stove top after blending. Easy-peasy! This Red Pepper Tomato Soup is a great meal for lunch, dinner or even on-the-go. You can pour into your favorite travel mug and get out the door fast. You can pair it with a healthy sandwich or some healthy crackers, too. 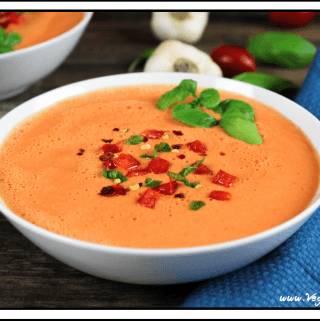 This Raw Red Pepper Tomato Soup is creamy, flavorful and nutritious. It will nourish your body and satisfy your tummy. All you need is a good blender and some fresh ingredients. Blend all ingredients together until creamy, smooth and warm. If you don’t have a Vitamix, just slightly warm on the stove top after blending. Top with some fresh-cut basil & crushed chili pepper. Enjoy! *Prep time doesn't include soaking time for the cashews. 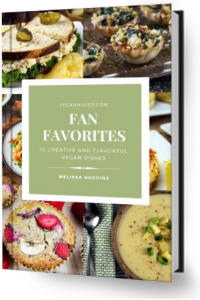 *The cashews can be soaked the night before and put in the fridge. If you don't have the cashews soaked, you can just use them as is. The soup will still be creamy & delicious. The soaked cashews just add a super-creamy texture and makes them more digestible. I just saw this soup in Instagram. It looks so delicious! I love making soup in my Vitamix.